Ferries from Sobra sail to other popular ports in the area, including Dubrovnik, Korcula, Rijeka, Split, and Stari Grad. All routes are run by the ferry company Jadrolinija Ferries. Below, you can see the latest details of routes and departure times, alongside a selection of our lowest prices. Jadrolinija ferries provide comfortable accommodation in cabins or in luxury suites. Nights of dancing to music can be had on board, in addition to a variety of other games and entertainment. There is also a rich choice of fantastic food prepared on board by the Jadrolinija Head Chef. As a fishing village, Sobra is built around the harbour. Around the harbour you will find restaurants and the local market. Uphill from the village there is a stretch of houses that offer accommodation. 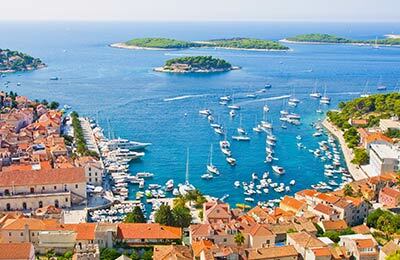 Sobra is the only port on the island of Mljet, or the Green Island as it is sometimes described. The Green Island has something for everyone, idyllic walk paths and cycle tracks, hundreds of undiscovered bathing spots, and many beaches including Saplunara beach as well as other must-see attractions like the Ulysses Cave. One of the best things to do on the island of Mljet is snorkelling, as there are two sea water lakes on the island with copious amounts of wildlife to discover. 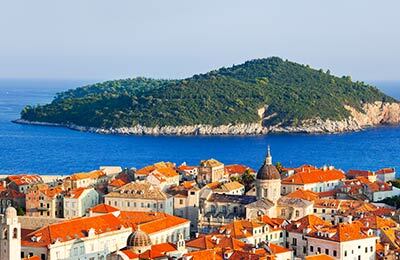 Whether you decide to use the Korcula to Dubrovnik ferry, the Korcula Rijeka service, or any other Korcula ferry you can rest assured that you got a great deal from AFerry.